Northland MP Mike Sabin has made no progress over the last year in persuading the Far North District Council to introduce a speed restriction on the beach at Ahipara, but that has all changed now. Mayor John Carter has told Mr Sabin that he shares his view that the council has an obligation to the community to address the problem of traffic speeds with urgency, as opposed to leaving it for the yet-to-be-constituted Te Oneroa a Tohe Governance Board. Mr Carter said the council already had the ability to control vehicle speeds on beaches via its reserves bylaw, which prohibited speeds greater than 15km/h. That could be seen as a little slow, however, so signs advising of a 30km/h limit were about to be erected at Ahipara, Waipapakauri Ramp and Tokerau Beach, although enforcing them would not be easy. Prosecutions would have to be pursued under the Summary Proceedings Act, which would be a convoluted process, so using that bylaw would not be ideal. It also applied to all beaches in their entirety, placing onerous restrictions on responsible drivers outside congested areas. A more effective approach, he said, would be to set a 30km/h limit on specific parts of specific beaches under the speed limits bylaw, leaving the open road limit in place elsewhere, while the council engaged in public consultation. Council staff had advised that a temporary limit could be imposed within a matter of days, renewable after six months, which could provide a solution at Ahipara until Te Oneroa a Tohe Governance Board was constituted. Mr Carter planned to further discuss the options with council management, Te Hiku Community Board, councillors and Te Oneroa a Tohe Governance Board, but the problem wasn't unique to Ahipara. "We have received complaints about dogs disturbing wildlife at Taupo Bay and calls for vehicles to be banned from Cooper's Beach, so we need to consider whether a whole-of-district approach is needed," he said. "And setting a speed limit at Ahipara will only be effective if the police enforce it. I will be keen to meet with the police to discuss what resources they are able to commit to addressing this issue." He told the Northland Age that the process he was suggesting was only a stop-gap measure, but it would provide an immediate response to a serious situation, and pave the way for something more permanent. "We will be going to the people at Ahipara, Waipapakauri Ramp and Tokerau Beach and asking them what would work best for them," he said. "Then we can work on bylaws that are relevant and applicable to each particular situation." Mr Sabin said he was delighted by the sudden rush of progress, and Mr Carter's undertaking to look at beaches other than Ahipara. He would be writing to the police to encourage their support. From the day he began his campaign, more than two months before the votes were counted on Saturday, John Carter believed he could win the Far North mayoralty. And he did, trouncing his major opponent, incumbent Wayne Brown, by a provisional 9513 votes to 2838. Mr Brown's deputy Mayor, Ann Court, who easily retained her Far North District Council seat, was third with 2209 votes. Mr Carter said he had detected a strong mood for change as he campaigned around the district, a mood that also perhaps accounted for two sitting councillors. Steve McNally (Kerikeri) placed seventh in a field of 14 who sought the four Bay of Islands-Whangaroa council seats, his place and that of Tom Baker, who did not seek re-election, being won by Willow-Jean Prime and Tania McInnes. Monty Knight lost his Te Hiku seat to newcomer David Collard, placing fourth in a field of 11. Mr Carter said his first priority would be to win the confidence of the people of the Far North. His campaigning had revealed a lack of confidence in the council to be a major issue, and he believed this was one of the reasons for the voter turnout of around 40 per cent. "People have lost faith in the council, and we have to change that. We have to earn people's respect again," he said. "There are other pressing issues - finances, Kerikeri's sewerage, Kaitaia's water supply, road maintenance - a whole raft of stuff that we need to look at with some urgency," he added. He thanked Mr Brown and the last term's councillors, re-elected or otherwise, for the contributions they had made, and gave an assurance that council staff would have the support they needed from the Mayor and councillors to get on with their work. Rueben Taipari Porter, who made his mayoralty bid with no local government history, said he was happy with his result but despaired at the "pathetic" voter turnout. Participation had held at the 2010 level, however, and he believed he had contributed to that. "I don't know how we can lift Maori participation but we have to keep trying," he said. He and Mr Carter were planning to work together on issues including youth, but he would contest the mayoralty again at the next opportunity. The Far North still needed inspirational leadership, and without offence to Mr Carter, he could not see much changing over the coming term. Mita Harris, another who was making his local authority debut, was also disappointed by the turnout but congratulated Mr Carter on his "landslide". People had been looking for change; Mr Carter had benefited from that, "and good on him," he added. 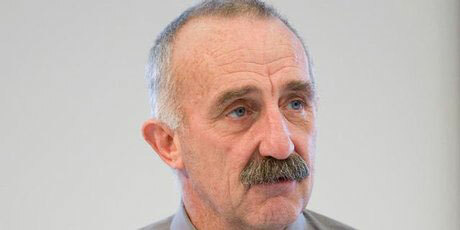 Wayne Brown faces six challengers for the far North mayoralty, which will be decided on October 12. Mr Brown, who has served two terms since he defeated Yvonne Sharp in 2007, is challenged by former Northland MP John Carter, who has returned from his stint as High Commissioner to the Cook Islands and is once again living at Waipapkauri Ramp, current district councillor Ann Court (Kerikeri), Mita Harris, Reuben Taipari Porter (Ahipara), Awanui farmer Allan Titford and Sarah Watson (Cooper's Beach). 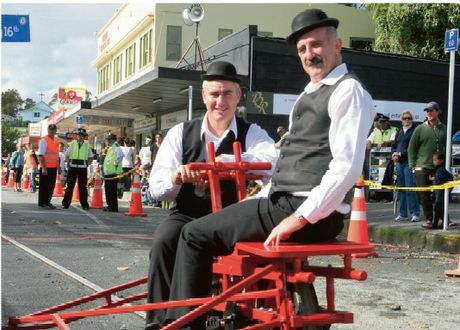 One certain mayoral candidate (John Carter, on the velocipede) with Kelvin Davis who, although mentioned in dispatches, won't be standing for mayor. Reading the letters-to-the-editor page of almost any Far North newspaper is to witness a literary litany from the disgruntled, the disaffected, the malcontents - and that's just from those elected to public office. They're all at it; the mayor, would-be mayors, a former mayor, so-called iwi mayors and a few old grey self-imagined mayors. Why are they all so publicly cranky? Neither is the carping restricted just to the local bodies. When Mike Sabin was elected to parliament as Northland MP in 2011 he stated several times that more could have been done in the region in the 24 years John Carter had been in the job. It's not as if Sabin and Carter are from different political parties, but that didn't stop Sabin from pointing out that his 2011 vote count was more than Carter received in the previous election. Call it post-election euphoria but the perceived lack of humility didn't go unnoticed. The irony, now, is that John Carter is standing as a Far North mayoral candidate in the October elections. Can these two politicians work together harmoniously for the betterment of the region? John Carter says he'll work with anyone who is elected to office whether at a local or national level. He lists his first priority as communication, particularly since the Local Government Commission will have released its provisional plan by the time the mayoral campaign gets under way in August. "There is a need for people to be well informed and there will be a lot of comment and debate around the plan. Council is all about talking with people, not to them, so that is one of the major things I'll be concentrating on. It's been a concern from a local government point of view that the region has been divided." John Carter is known for his diplomacy. Yet when he announced his mayoralty bid on 19th February this year he came about as close he ever has to publicly getting stuck in. "…the various sectors of the Northland community may have had differing points of view and were not shy about expressing them, but they had always been able to work together for the betterment of the district and its people. That seemed to have been lost at local government level, and the Far North has suffered as a result….," he pointedly declared in The Northland Age. The incumbent mayor, Wayne Brown, is a master of the pithy comment and if he decides to stand again his forthrightness will enliven what is often (elsewhere in the country) so dreary a process that interest in it atrophies under the weight of sheer ennui. But even as far back as post-general election 2011 and before Carter announced his mayoralty aspirations Brownie was firing an oblique pot-shot at the former MP. "I think he (Sabin) will be quite good, because he's more likely to put Northland ahead of the party line at times, and it's a while since that happened," he declared, again in The Northland Age. Is all this public forum sniping a symptom of small-town self absorption, representative of the broader concerns of a wider community or a more malevolent sign of dysfunction among those who are electorally tasked with overseeing our collective well-being? Probably all three. Now enter other potential mayoral candidates. Current Deputy Mayor, Ann Court, is 'seriously' considering her candidacy for mayor and says frankly she's not happy with the way the council is currently being run. But for the moment she is not declaring her intentions. "You get the people who say John Carter's not an option and neither is Wayne Brown so we think you should stand, you have a high enough profile. "On the other hand you get people who say you can't possibly win against John Carter because he's got too high a profile and we think it's best you don't try to split the vote. But right now I'm sitting on the fence getting splinters in the backside." Having said that, Ann Court declares she has yet to be convinced about Carter's candidacy. "I need to hear some things from him. My concern is he's a National boy and National's policies have not been good for Northland." 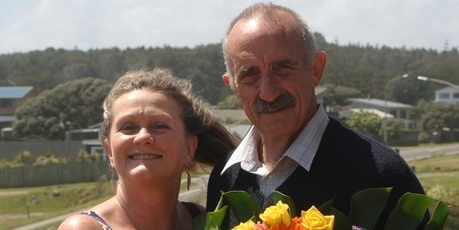 Kaitaia businessman, Monty Knight, could enter this mayoral melting pot too. He has yet to decide whether to stand as a councilor again, let alone mayor, although get fifty people to ask him to stand and hand over a campaign cheque and he says he'd consider it. Like all the others (John Carter excepted) Knight could be hedging his bets. He points to Carter's decades-long healthy majorities in numerous general elections and asks who is brave enough to attempt to woo all those loyal voters away from the 'most popular' candidate. Then there's Steve McNally who hasn't made up his mind about his potential mayoral candidacy either. He's one of the few sitting councilors who doesn't fire off letters to the editor at every opportunity because, in his words, he's 'too busy taking care of council business'. Former national election candidate, Labour's Kelvin Davis, has been mentioned in dispatches but it's jungle drum stuff and he would like a dollar for everyone who has suggested he's running for mayor. But he's not. Come October what we won't see in the Far North is the American-style local election campaign as happened in 2010 in Kaipara where all but one of the candidates put forward under the Kaipara Can banner - and backed by the local Lifestyler newspaper - were soundly thrashed in an embarrassing defeat. Kaipara Couldn't. Far North councilors are generally non-aligned to any party or cause with the possible exception of John Carter and neither will local body campaigning Far North-style be overtly backed by media. Nonetheless, over the next five months there's bound to be volley of verbosity enlivening the letter pages of your local broadsheet. Former Northland MP John Carter announced yesterday that he will retire early from his position as New Zealand's High Commissioner in the Cook Islands to run for the contest the Far North mayoralty. Mr Carter, who with his wife Leoni will return to Rarotonga today after a brief stay at their home at Waipapakauri Ramp, said he had kept a close watch on affairs in the Far North since he retired as the local MP in 2011, and was increasingly concerned by what he saw as disunity and a lack of progress. "I love the Far North," he said. "I am deeply aware of what a wonderful place it is and how many talented people live here, and I know it should be doing better. My many years representing the area have given me the knowledge, skills and contacts to provide unifying leadership, so, after careful consideration, I have decided to resign from my position as High Commissioner and offer myself for the mayoralty." He had a number of ideas for boosting the district's economy and creating jobs, which he would release closer to the elections in October. For the moment he was focused on the two main themes of his campaign, namely uniting the district and developing the best local government structure for it to progress. In the past the various sectors of the Northland community may have had differing points of view, and were not shy about expressing them, but they had always been able to work together for the betterment of the district and its people. That seemed to have been lost at local government level, and the Far North had suffered as a result. "I have a long track record of being able to work in harmony with everyone in the North, regardless of where they live, what their politics are or where their interests lie, and with all the leaders of the different communities of interest, whatever their backgrounds," he said. "I want to use my skills and experience to bring back that unity and harmony to ensure that all our strengths are combined in the best interests of the region. "I always had an open door policy with my constituents; working to help them to resolve any issue they might have, regardless of their political persuasions. If chosen as Mayor I intend to bring that same people focus, that emphasis on representing the whole community, to the Far North District Council." He would not be seeking a team of candidates; it was for the people of the Far North to decide who they wanted to represent them in each ward, but he was confident that he would able to work with whoever was elected. He was also uniquely placed to ensure that the best local government structure was achieved, given his local authority and parliamentary experience, including his chairing of the select committee that considered submissions on the new local government structure for Auckland. "I know the government's thinking on local government, and I can use that knowledge to the advantage of the Far North," Mr Carter added. "I have a deep understanding of the present council structure and I can make it work for us all. "I am aware there is concern that the Far North is not being heard in Wellington, and I can fix that without the need for drastic change. I am also aware of the strong desire on the part of the various geographical communities in the North to have a say in their own future, and I totally support that approach. "There is no reason why we cannot balance the need for a unified district with the ability of different areas to follow policies that best serve the interests of their own people. As Mayor I would work closely with the community boards to make that possible." His role as High Commissioner to the Cook Islands had been a wonderful learning opportunity, but he was even more excited by what he would be able to achieve as Far North Mayor. "The potential to achieve great things is here. We all know that. All it requires is the right sort of leadership," he said. John Carter has been made a Companion of the Queen's Service Order for representing Northland in Parliament for 24 years. 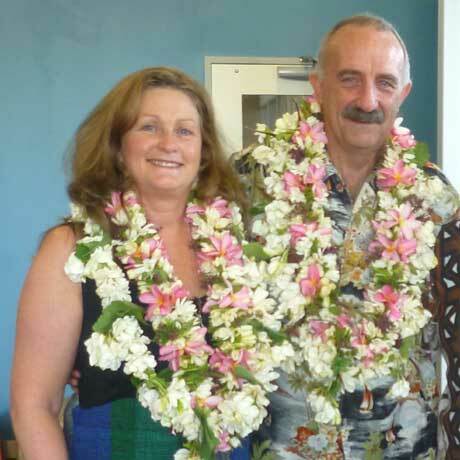 He retired as an MP this year and is now New Zealand High Commissioner in Rarotonga. Told of his appointment in the New Year honours list, Mr Carter said yesterday by telephone from Rarotonga that it was a great honour. "I'm absolutely stoked," he said, explaining that he was a dedicated royalist and had met the Queen twice, in Wellington and at Waitangi. He felt he would be receiving the honour on behalf of all Northlanders, as he was getting it only because of the support he had received in the region during his eight terms in Parliament from 1987. Mr Carter said he was loving his "fascinating" new job, which kept him busy but without the pressure of his previous work which, in areas such as his Civil Defence ministerial portfolio, could be "full on". "This country [the Cook Islands] has the opportunity to stand on its own feet in time, and New Zealand aid plays a big part in that," he said. His work with aid projects included ensuring value for money for New Zealand taxpayers. John Carter arrived in Rarotonga on Thursday night to take up his new diplomatic post as the New Zealand High Commissioner to the Cook Islands. John and wife Leoni have had the perfect introduction to island life on Rarotonga when they were among the official guests at the Te Maeva Nui opening ceremony and float parade yesterday. John Carter was previously the National Party MP for the Bay of Islands and subsequent Northland Electorate from 1987 to 2011. His ministerial portfolios included Civil Defence, Senior Citizens, Racing and Associate Minister for Local Government. He replaces former commissioner Linda Te Puni. After 24 years as an MP, John Carter is off to the Cook Islands to become the High Commissioner. Northland MP John Carter left Parliament after indulging in his last chance to get toilet humour on public record and with a plea for MPs to be given some freedom to laugh rather than be made into saints. Mr Carter gave his valedictory speech in Parliament yesterday after 24 years as an MP to head off to become the High Commissioner in the Cook Islands. It was a trademark speech from the gregarious MP with more serious reflections book-ended by humour. He told a story about turning the lights off in the men's toilets and later discovering Gerry Brownlee had "an accident" which necessitated buying a new suit. He let the laughter roll for a long time before confessing the story was untrue. He gave his own recollection of the troubles that followed when he rang a Northland radio station and pretended to be a Maori called Hone. That had coincided with then Prime Minister Jim Bolger's long-awaited trip to the White House. "He appeared on page eight of the New York Times and I appeared on page one. It seriously pissed him off, I can tell you." He moved on to his unfortunate "spoonerism" while saying "cunning stunt" in Parliament, adding he was disappointed Hansard more tastefully recorded it as "cunning trick". Then he put his case: "We do need to be serious, we need to debate issues and this place is important to the country. "But we also need to be able to share humour. I am more and more concerned - in fact I'm pleased I'm retiring - because the scrutiny we are coming under, particularly from the media who are trying to sanitise us and turn us into saints, is ridiculous. "We need to have people who are real, who can laugh at themselves and be real people. I say to the people who are prone to criticise us, let us just have some space. Let us be real people. Occasionally we will make mistakes but let us be real." In a surprising gesture, he also tabled a summary of superannuation scheme payments, saying he was fed up with people describing it as "gold-plated". He said he had contributed about $33,000 from his after-tax salary package each year and with a modest 5 per cent interest, it now totalled $1.5 million. "I have contributed it - not the taxpayer - I've contributed it. Not taxpayer-funded at all, it's out of my money." He expressed pride in helping usher in the Auckland Super City and said he took great pleasure from the senior citizens' portfolio. He wished Craig Foss, appointed a minister in his place, good luck in the racing portfolio where ministers, other than Winston Peters, were generally disliked and the industry was unwilling to change. He saved special mention for his role as Minister of Civil Defence, which had seen him on television time and time again. "Of all the portfolios, that became rather challenging, given I was told when I started by [Civil Defence head] John Hamilton that it would be a portfolio that wouldn't take too much time and I wouldn't have to put too much focus on it." The public gallery was crowded with staff, friends, family and his Northland electorate team. National Party president Peter Goodfellow and others from the board were also in Parliament. It was when he acknowledged his staff that the emotion began to show as he remembered his long-serving executive assistant Jan Miller, who died last year. He left looking forward to his new role: "I can hear the breeze in the palm trees as we go." He may have had a few troubles but there are very few MPs who would leave with hearty man-hugs not just from his own team but also Labour's Pete Hodgson, Act's Roger Douglas and the Green Party's Keith Locke. Northland MP John Carter has been appointed the next New Zealand High Commissioner to the Cook Islands - a position he will take up when his 24 years in Parliament come to an end this year. Mr Carter announced last year he was stepping down before the November general election and Foreign Minister Murray McCully announced yesterday that Mr Carter would take up the post in the Cooks from August. Mr Carter will replace Linda Te Puni and he will be the second Northlander ever to hold the post, after the late Brian Donnelly, a former New Zealand First MP and Whangarei principal. Mr Carter said he was proud to be appointed High Commissioner after first visiting the Cooks in 1975 when he led New Zealand's first rugby tour there as president of the Te Kuiti Rugby Club. 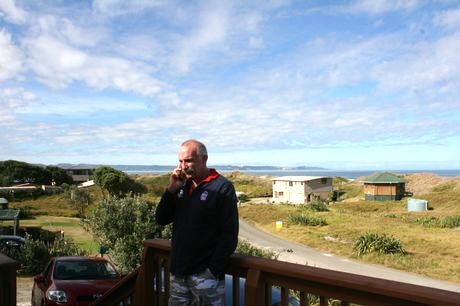 His most recent visit was in 2009 as part of the successful Parliamentary Rugby Team tour. "I feel very proud and honoured to represent our country in this way," he said. "And Northland has some strong ties with the Cooks, through Mr Donnelly, and a significant number of the Cook Islands' parliamentary leaders were educated here, at Northland College when it had its boarding house." As High Commissioner to the Cook Islands, Mr Carter will be contributing to New Zealand's responsibilities there, and said after his three-year appointment he intended to come back to Northland to live. "My interest in the Cook Islands goes back to my first visit 36 years ago and I am pleased to have the opportunity to work with the people there on the variety of shared interests we have," Mr Carter said. Mr McCully said he was confident Mr Carter would take a strong leadership role in managing the relationship at an important time in its history. "New Zealand and the Cook Islands enjoy a special relationship based on historical, constitutional and strong people-to-people links. "The Cooks have been self-governing in free association with New Zealand since 1965 and all Cook Islanders are New Zealand citizens," Mr McCully said. "Accordingly, this underlines the closeness of the bilateral relationship. "New Zealand development assistance to the Cook Islands has increased significantly over the past two years and has been refocused on sustainable economic development including support for activities such as waste management that maintain the integrity of Cook Islands reputation as a tourism destination." Mr Carter was first elected as Bay of Islands MP in 1987 and is in his eighth term in Parliament. Northland MP John Carter is heading for the Cook Islands to become a diplomat - a job he has been "training" for since 1975 when he first visited the islands on a rugby trip. Mr Carter said yesterday that trip - before he became an MP - and subsequent holidays set him up with ongoing connections with several Cook Islands politicians. Foreign Affairs Minister Murray McCully announced last week that Mr Carter would become the new High Commissioner to the Cooks - an appointment tipped by the Herald in November. Mr Carter, who arrived in Parliament in 1987, will leave in July for the Cook Islands. A byelection will not be required for his Northland electorate because he will leave it within six months of the November 26 election. Mr Carter has often holidayed in the Cook Islands - but despite suspicion that Mr McCully was exercising his sense of humour with a reference to Mr Carter's "long association" with the Cooks, Mr Carter said he had other connections. In recent years he had visited as part of the Commonwealth Parliamentary Association. He also recalled being based in Rarotonga in 1995 as a government representative on the HMNZS Tui, which was protecting boats protesting against nuclear testing on Mururoa Atoll. "I was seasick for four days straight." Mr Carter's appointment was largely seen as a sweetener offered by Prime Minister John Key before the last election as part of an agreement to stand down. His Northland electorate is one of the safest National Party seats in the country and has a large party membership. Northland MP the Hon John Carter displayed an unsuspected talent when he snared this lineout win for the New Zealand Parliamentary rugby team in Rarotonga in November 2009, much to the (no one is quite sure what) of team mate, the equally Hon Shane Jones, who might well simply be displaying relief that he did not have to take the Minister for Senior Citizens by the shorts and fling him ten feet into the air. Just what might have been passing through the two politicians' minds, if, indeed, anything, has been the subject of some speculation, but sources who are not especially close to the Beehive (but know where it is) have suggested that it had nothing to do with Mr Carter's apparent decision to abandon the practice of waxing his legs, an indulgence which Mr Jones, it is rumoured, continues to enjoy. The theory that Mr Carter is actually trying to identify exactly what it is that has been tossed to him has some appeal, but another, that Mr Jones has just worked out what happened to a couple of his election hoardings in 2008, is officially regarded as a long shot. Rumours that Mr Carter is planning to audition for the role of Gollum in a new LOTR movie is possibly even longer, although he was heard to hiss something that sounded very much like 'Preciousss!' Most commentators would say he is too tall. His expression reminds one of the mixture of joy and horror that flitted over the countenance of one Gerry Brownlee, playing for the same team at Awanui some years ago, when he received the ball just inside the opposition's half with a clear run to the goal line. Ten metres into his sprint he flung the ball to the ground, however, clutching at his right hamstring and staggering to a halt. He was assisted from the field, but the moment he crossed the touch line he effected a miraculous recovery. Asked what had happened, he said he had had no intention of running that far. Mr Carter, incidentally, could have scored a famous try that day (against Awanui's Men in Black), but for the unfortunate fact that he tripped over just as the ball was about to reach him.